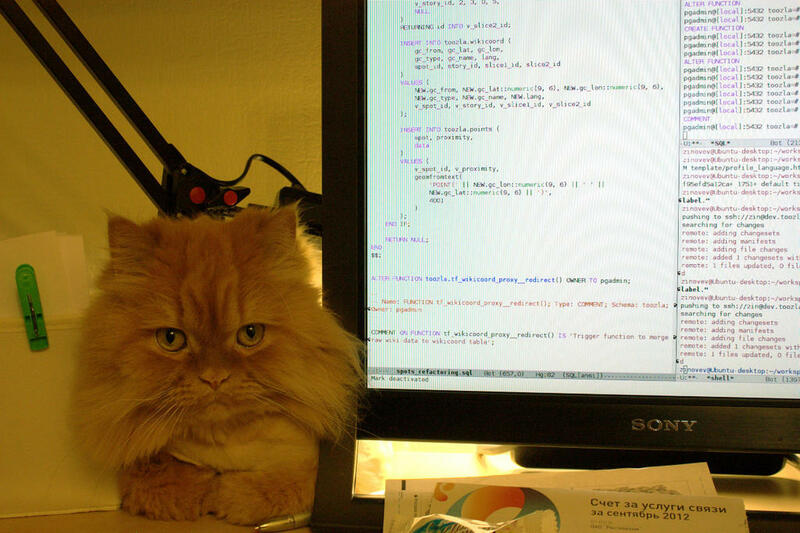 Posted byIgor Zinovyev	 September 6, 2014 November 20, 2014 Leave a comment on The code review kitty is not pleased. Don’t you love it when your household animals try to help you with whatever you’re doing? Usually my cat tries to walk on my keyboard when I’m in the middle of a project, but that time he clearly wanted to tell me something.